Home / Ken Squier / Kenny Wallace / LJC / R U Faster Than a Redneck / TV Review / LJC Reviews "R U Faster Than A Redneck?" LJC Reviews "R U Faster Than A Redneck?" 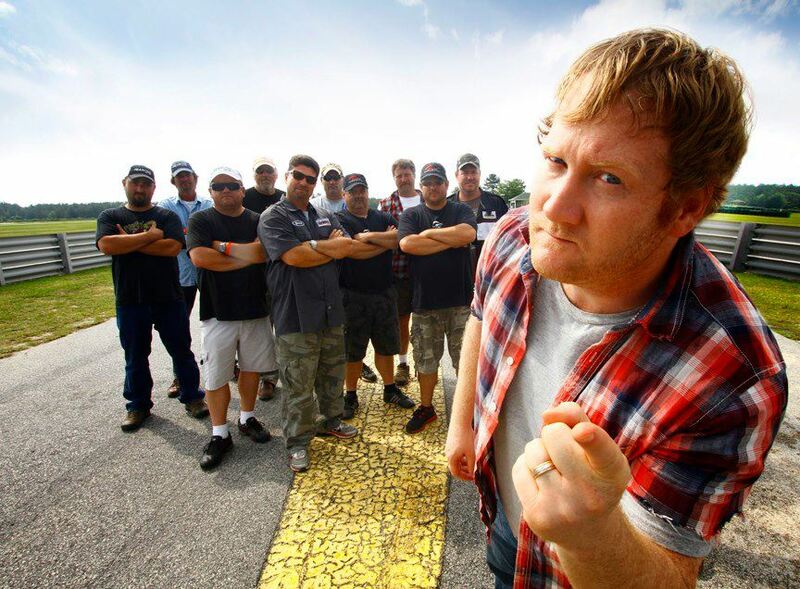 Photo courtesy of Jon Reep and the cast of "R U Faster Than a Redneck"
You might remember Jon Reep from his win on "Last Comic Standing," but he's probably more recognizable for his "That thing got a hemi?" series of ads he did for Dodge. Either way, he's one of those guys that you may not know his name, but recognize him when you see him. The Hickory, NC, native drew from the redneck stereotypes for his latest endeavor, a new series on SPEED called, "R U Faster Than A Redneck?" that pits American muscle cars against foreign performance cars in a three-round elimination format. If the foreign car beats the muscle car around the road course at Carolina Motorsports Park in the final round, that driver wins $10,000. 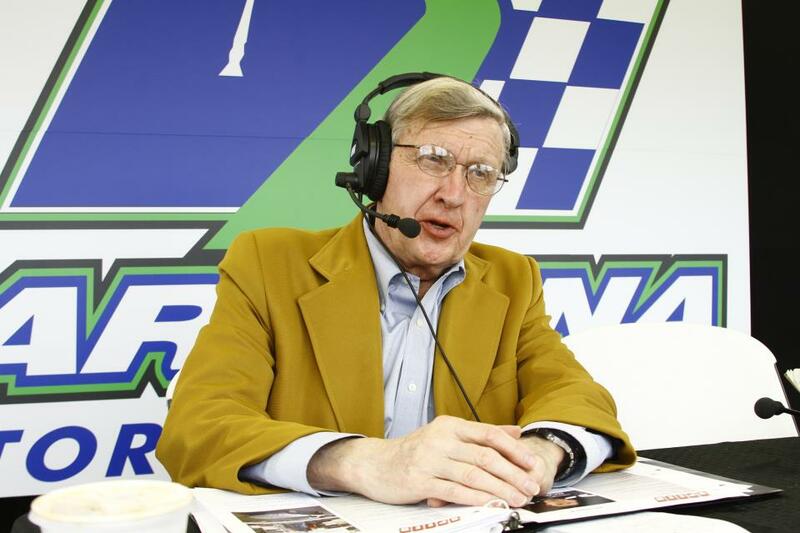 Reep hosts the show and provides running commentary that as you would expect, relies heavily on insulting the imports and praising the virtues of such muscle cars. His group of drivers, which he calls the "Mullet Mafia" also comment in the obligatory confessional common to almost all reality shows these days. Of course, insults fly both directions faster than the cars race. Despite the title, seemly cobbled together from Jeff Foxworthy's "Are You Smarter Than a Fifth Grader" and his trademark "You Might Be a Redneck" tag line, the show isn't really about the kind of folks you'd find in the Talladega infield. The cars are real. The racing is real. Even the drivers are real, competing in American Street Car Series, SCCA and other organized events. The humor is predictable, even corny in some places but the combination is entertaining enough for me to tune in again. In the sneak preview, which aired after the NASCAR Camping World Truck Series race on Friday night, Reep and his Mullet Mafia took on a BMW, a Lamborghini and a poser Mazda RX-7 which was disqualified for having a Corvette engine under the hood. The show has scheduled a number of special guests through the season, but in my opinion the best part of the show wasn't the appearance of Kenny Wallace as the driver for the final round, it was the interaction between veteran announcer Ken Squier - yes, the real Ken Squier - and Reep. Photo courtesy "R U Faster Than a Redneck"
Here's one of the best exchanges, which came during the BMW versus the 2012 Boss Mustang 302. Reep: Oh, it's it's not even close! Squier: Well, it's fairly close. Squier: No it's not getting worse and worse, it's staying right there at three and four car-lengths. Reep: I'm telling you, Ken, it's over. Squier: Well, no, I think it's going back to Myrtle Beach. Squier is the perfect foil for Reep's over-the-top hillybilly schtick, which comes complete with enough rebel yelling to give any Southerner flashbacks to family reunions with that one uncle who drinks too much and gets too loud. I won't spoil the rest of the episode for you, since it re-airs several times, but I will say that probably the best part of "R U Faster Than A Redneck?" in my opinion, is that the show has provided sponsorship dollars to a number of young drivers such as 2012 NASCAR K & N Pro Series West Champion Dylan Kwasniewski, Corey LaJoie and young Joey "Mooch" Mucciacciaro who sported the "RU" decal in victory lane at New Smyrna Speedway a week ago. That support alone earns my viewership. scratchy reckon to ameliorate the Oakley Sunglasses Outlet Cheap Oakley Sunglasses Cheap Oakley Sunglasses Ray Ban Sunglasses Outlet Oakley Sunglasses for gas. the sounds of the blue-chip nutrients in the social class!